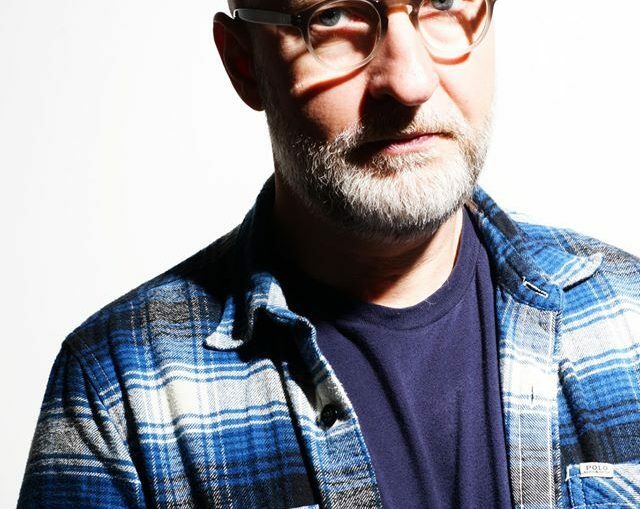 Bob Mould promo photo, circa 2017. Bob Mould laughs easily. Sort of a deep chuckle that’s unnerving to those who know him solely through his music, from the pioneering punk of Hüsker Dü or his solo work where he has penned these popular tunes: “Black Sheets of Rain,” “Poison Years,” “I Hate Alternative Rock,” and the vein-popping “Underneath Days” from 2005’s mostly back-to-basics Body of Song. “When I was younger, especially with Hüskers the overarching theme (of my music) was ‘why is this happening to me?’ — and now it’s just ‘why is this happening? '” Mould ponders from his home studio in Washington, D.C. where he lives inside the District Line, a diamond-shaped perimeter that surrounds the Beltway region. “Things are more tempered, things are more measured,” he says. “Age will do that.” Mould certainly sounds more relaxed on his new album, the geographically divined District Line than last time and it suits the music, although songs like “Stupid Me” and “Again and Again” still deftly demonstrate the difficulty of maintaining relationships. From the album’s first moments, you can’t help but notice something else: Mould is really singing, not screaming or shouting but enunciating words and holding phrases. “Please listen to me,” Mould pleads in “Stupid Me,” “and don’t disagree.” Mould may still want things his way but he is pleasant about it, willing to talk. In the late 1990s, Mould moved to New York to pursue outside interests, including consulting for a wrestling franchise (to the shock of some) and exploring a newfound love of electronica. It seemed as if he wanted to put the past behind him, not only Hüsker Dü but his short-lived power pop trio Sugar, whose debut Copper Blue was universally heralded, and which earned him a new generation of fans. After releasing four solo albums under his name, two Sugar discs, a live concert, and collection of Sugar outtakes recorded between 1989 to 1998, he headed off in a different direction. In his newfound artistic quest, Mould moved to D.C. later that year, and began DJ’ing at the 9:30 Club regularly, with keyboardist Rich Morel, in a joint project known as BlowOff. The dance event has grown so popular that they occasionally trek down to the Highline Ballroom in midtown Manhattan. BlowOff released an album of dance-oriented music in 2006, and Mould says that approach “really informed” songs like the new “Shelter Me,” with its hypnotic trance beat, and “(Shine Your) Light Love Hope” from 2005’s Body of Song. Mould finished his previous album after several aborted attempts, recording with punk drummer Brendan Canty of Fugazi, BlowOff keyboardist Morel, and cellist Amy Domingues, all of whom return on District Line, along with bassist Jason Narducy. The core group, sans Domingues, toured to enthusiastic response at the time, and they will be touring the U.S. again in the spring, though Canty has other commitments and will be replaced on the road by D.C. drummer Rob Black. District Line opens with a quasar of a song that encapsulates just about everything Mould does best. “Stupid Now” begins with an acoustic strum, and finds Mould in regret over something he feels he should not have said, Morel’s keyboards and Domingues’ cello offering hints of color. Thick reverberating guitar notes recalling Sugar’s “A Good Idea” keep the tempo while Mould whispers the lyric, until Canty’s drums kick in like a bomb. The heavily processed guitar is classic Mould. For the 20th anniversary edition of Workbook, Mould says, “I’m just thinking about that now… there’s a lot of things that could be done with it, there’s live presentations, there’s all kinds of stuff that could happen.” He also reports that most of his next studio album is written, so Mould is preparing for a busy 2009 just as 2008 is barely out of the gates. 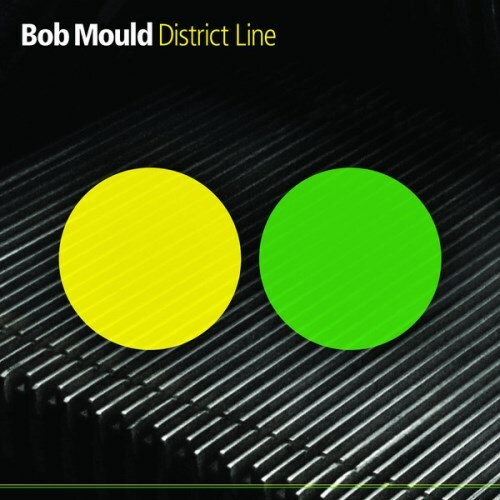 The District Line tour will include the usual assortment of Mould ballads, Sugar staples, and Hüsker classics, from “Celebrated Summer” to “Makes No Sense At All.” Mould had refused to play Hüsker Dü material in a band setting until three years ago when he decided to loosen up the reigns.